Please send the skins via the upload page on the website or on this thread. - Novice skins will not be permitted in championship races. - Novice cars are available for any member without their own custom skin (but these are not for extended periods of use). - Tarmac cars: EliteT, FaldingT, flcsT, flt, fwjT, LundT, MurrayT, smithT, smithX, WainmanT, WainmanX, YarrowT. - Shale cars: EliteS, FaldingS, flcs, LundS, MurrayS, SmithS, StuS, WainmanS, YarrowS. - Members are asked to submit their own custom skins to race for the season (paint your own, or use the Skin Painting section on the UKDirt Forum to make a request). 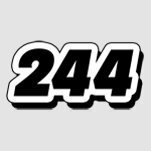 - Members should submit skins (tarmac and shale) of all (white, yellow, blue, red) roof grades, these should all use the same base car design (tarmac and shale may differ). - There is a skin painting and saving/converting guide on the UKDirt website, additional further recommendations are available on the UKSOM website. - The roof grade on each skin should be clear, and not in doubt. - No swearing, obscene images or any other paint/signs intended to cause dispute/offence. - Correct upgrades (to match painted skin) should be used (e.g. roof type, bonnet upgrades, etc). - Superstar lights should only be used by superstars. - Members are permitted to change chassis once on each surface during the course of the season. - Members without correctly graded skins will be required to start at the back, a grade gap behind the superstars. 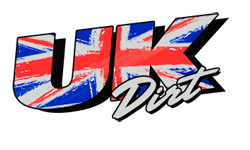 - Skins will only be released in official UKDirt F1 skinpack installation files. - It should go without saying, but it is not acceptable to “rip-off” skins or signs that others have painted… issues of this nature will be dealt with by disciplinary process. Just a reminder. F1 skins are available by request on the link below. I uploaded mine to the site a few days ago, did they get recieved? Are skins from a few years ago still knocking about by any chance? Just a reminder that the 1st meeting after this skinpack is the Dutch Championship. People still using novice skins will not be eligible to race in the championship race.